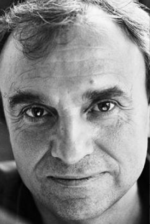 Enrico Palandri, born in Venice, is a writer, professor and translator. He is the author of eight novels, one collection of short stories and four essays. He has been awarded several prizes and translated in many languages. Four of his novels have appeared in English. He lives between Venice and London. His most recent books are L’inventore di se stesso (2017) and Verso l’Infinito (2019).